Superior Exterminating is proud to be on the cutting edge with the knowledge and technology required to eradicate these blood feeders. Superior works closely with the National Pest Management Association, the Virginia Pest Management Association, chemical manufacturers and state universities in their research to understand and control this pest. Superior incorporates the National Pest Management Association's BMP's "Bed Bug – Best Management Practices." Bed bugs are not a socio-economic pest. Bed bugs are persistent. Eradicating an entire infestation requires persistence. Bed bugs can hide in extremely small cracks and crevices. Bed bugs are rarely seen in daylight. They emerge from their hiding places at night. 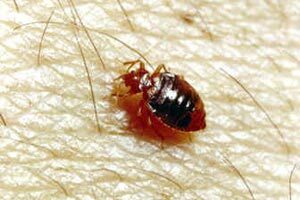 Bed bugs can live 2 to 3 months without a blood meal. Bed bug females can produce in excess of 100 eggs. Bed bugs hatch from eggs in 4 to 10 days. Bed bugs can be found: Apartments, College Dormitories, Cruise Ships, Emergency Medical Services, Hospitals, Hotels, Public Transportation, Retail Stores, Shelters, Theaters, Used Furniture . . . . .